How would you rate your experience with Movement Watches ? 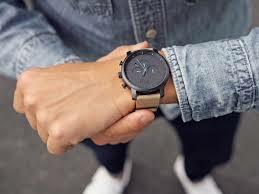 Movement Watches, known by their abbreviation of MVMT, was founded in 2013 by two friends, Kramer LaPlante and Jake Kassan, who dropped out of college. This pair of friends felt that college had nothing relevant to teach them. 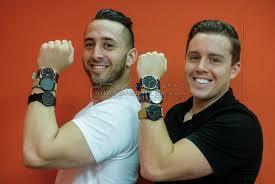 After raising $300,000 in Indegogo start-up funds, the pair began designing and producing their own brand of watches. 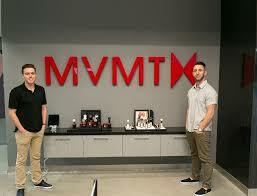 MVMT, which achieved revenue of approximately $71 million in 2017, currently has expanded into more than 160 countries via a direct-to-customers business philosophy, selling predominantly through its e-commerce site. By cutting out the middleman and selling directly to consumers online, the pair has managed to sell more than 600,000 watches in 3 years time. In 2016, the company expanded their line to include women’s watches and unisex sunglasses. In October 2018, The Movado Group acquired the company for $300 million. Kassan and LaPlante will still be part of the executive team and headquarters remain in Los Angeles, California. Question 1: What is the phone number for Movement Watches? Answer 1: The phone number for Movement Watches is (760) 845-8806. Question 2: Who is the CEO of Movement Watches? Answer 2: The CEO of Movement Watches is Jake Kassan. Question 3: Who founded Movement Watches? Answer 3: Movement Watches was founded by Kramer LaPlante and Jake Kassan in 2013. Want to make sure Movement Watches sees your comment or complaint?